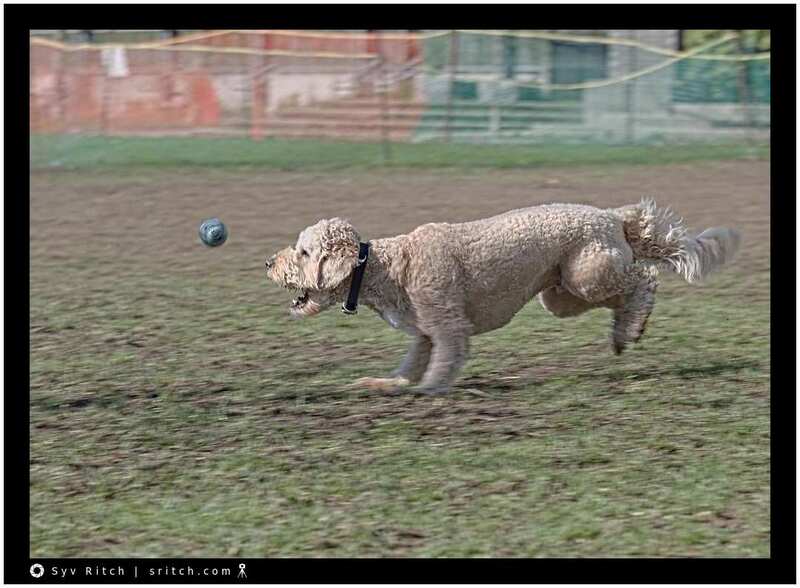 This Labradoodle is just about to catch his prize. The only thing that he can think about is his ball. 8 month old and he’s fixated on his ball. Bounce the ball and he completely ignores his food or any other treat. He’s a ‘ball junkie’.